Mr. Khaled Al-Aboodi joined the Islamic Development Bank (IDB) Group in November 2001 as Deputy Director General of the Islamic Corporation for the Development of the Private Sector (ICD), the Private Sector arm of IDB & since 2007 till now as Chief Executive Officer of (ICD). Mr. Al-Aboodi has over 35 years of experience serving the developing Finance industry in the Middle East and USA. He started his tenure with Ministry of Finance & National Economy of Saudi Arabia in 1982 as an Economic Researcher, served as Director of the Environment Unit, Acting Director of the International Financial Institutions Department. In 1995 he moved to Washington DC to serve as Assistant to the Saudi Executive Director at the World Bank; and was later appointed Alternate Executive Director for Saudi Arabia at the World Bank Board until 2000. Later in 2000, he joined the Saudi Public Investment Fund (Ministry of Finance) as Senior Economist where he was in charge of several privatization operations. 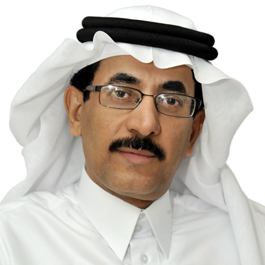 Mr. Khaled Al-Aboodi is a Saudi National, and holds a Bachelors Degree in Economics from King Saud University, Riyadh (1982), and a Master Degree in Economics from the Northeastern University, Boston, USA (1987).